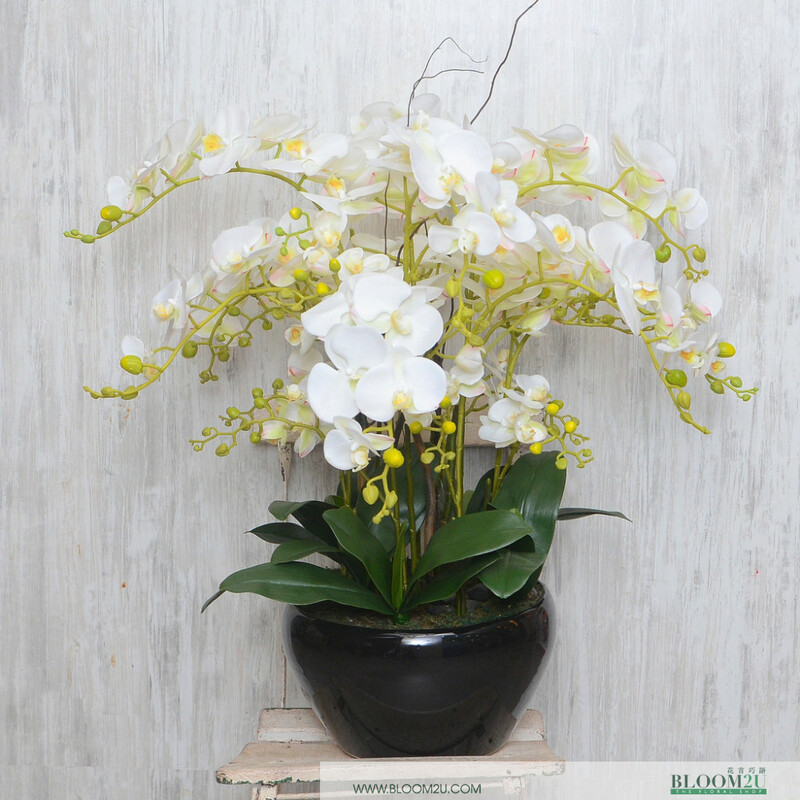 This is an artificial flower arrangement that consists of artificial white phalaenopsis orchids and leaves. 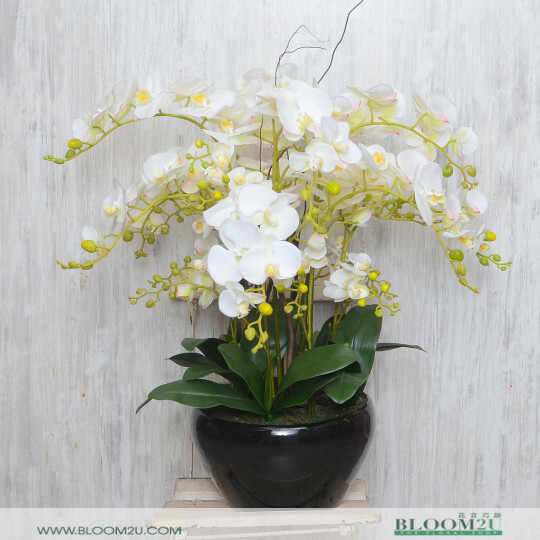 Specially crafted by BLOOM2U. Esah means alive. This beautiful white colour artificial phalaenopsis orchids bring the room to alive. As a gift, it improves relationship and make the bonding stronger. Suitable for offices and also resorts style home.